For the benefit of those who are not familiar with rooting, it is like jailbreaking your phone to support neat new features normally not found on a smartphone. You can make your phone run faster, install custom ROMs, and install (sideload) applications from third-party sources once you gain root access on your device. But you have to keep in mind that rooting your device could mean voiding its warranty. Although, there is usually the option of unrooting your device by updating it with a stock ROM. Overall, rooting can be a win-win situation. WARNING: ROOTING THE SAMSUNG GALAXY ACE WILL VOID THE WARRANTY. 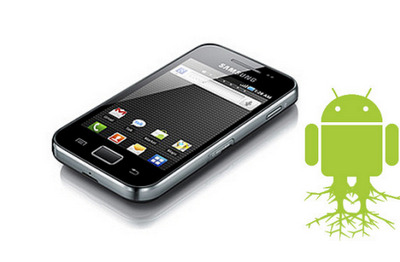 How to root Galaxy Ace s5830i. 1.Put update.zip in your main directory in the SD card. 3.Boot in Recovery by pressing:POWER+VOLUME UP+HOME buttons. 6.Reboot your phone and it's ready.There must be a Superuser icon in your Apps menu. 1.Exactly the same just put the file unroot in your main directory and folow the steps. Update.zip is having virus...pls tell me is it ok to use it. Where is the file to unroot the device? yes what the F???? File has a virus and there is no unroot file?? Most performers who spend about 20 hours online earn at least $500-1,000+ per week. Just - Say - Hi's global reach has gone up 231% in the past three months. This will save you the disappointment if she does not offer what you were hoping she would. coping up getting a particular excess fat management program. Burners has a third-rate product that's certainly riding the coattails of the nutritionally packed berry market. thanks its an easy job. it`s works on gt-5839i ? Yeah I did, but what do I have to do next?